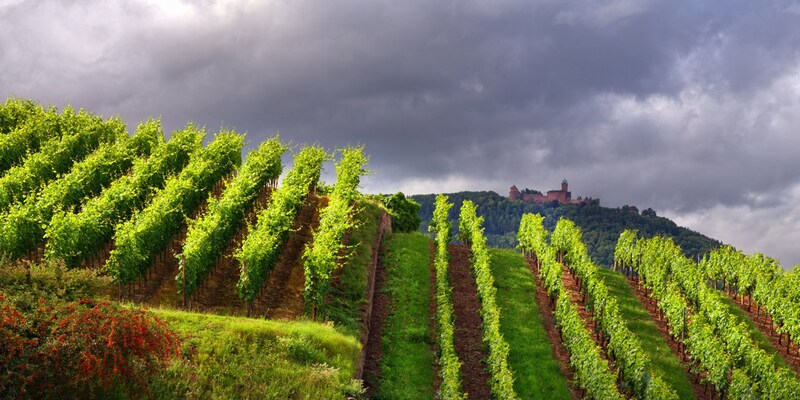 Beyond the more famous Riesling and Pinot grapes produced in the region, the landscape of Alsace also supports several other grape varieties that play an important part in the area’s culture of vineyards and producers. However famous the chef and restaurant are, or the striker and their football team, making things work seamlessly is almost always a team effort. 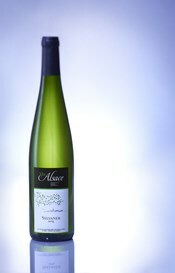 As well as the famous names such as Riesling, Gewurztraminer, or Pinot Gris in Alsace, there are a number of other grapes that help to support the wineries and restaurants of Alsace, playing minor, but also important roles in keeping the traditions in the kitchens, cellars and vineyards alive. Grape growers in Alsace have been tending to vines on these slopes for many hundreds of years, and while consumer tastes, technologies and even the climate may change, this variety continues to this day. This has been incorporated into the rules and traditions of the Appellation d’Origine Protégée of Alsace to allow a range of grapes to be grown, but specifying certain production details to give consumers a high degree of confidence in the final product. Here are some of the other varieties grown, or names of permitted blends, that can be found in Alsace. Auxerrois - While this grape is rarely seen on wine labels on its own, it is still widely planted. Instead it is very much present in wines labelled as “Pinot Blanc”, because it can soften the acidity of the former, and add extra roundness to make the wine more approachable when young. It can also be found in the blends of many Crémant d’Alsace sparkling wines. Muscat – Although not very widely planted (representing only around 2% of grapes grown), this is one of the ‘Noble Grapes’ of Alsace and also to be found in the Grand Cru vineyards. This unusual wine is really quite delicate and dry, yet it smells amusingly “grapey” (one of the few wines that actually does smell of grapes in fact) and therefore suggests it might almost be sweet. In reality, wines from this grape are nearly always bone dry in Alsace. It should be enjoyed cold, fresh and youthful, where its impressive aromas make it an engaging aperitif. It is a splendid partner for white asparagus. Sylvaner – Another fairly rare grape to see on its own, but not impossible to find if you are a keen explorer of specialist wine shops. Sylvaner is somewhat similar in style to its more famous peer, Riesling, with good fresh acidity and the ability to age and develop a honeyed note. However, the grape is rather demanding and needs a good site and warm vintage to mature fully, so it has fallen a little out of favour as a wine to bottle on its own. This freshness and a hint of honeyed fruit can make it a very good match for pork, ham and fatty bacon, or a classic onion tart, or more delicately spiced Asian dishes. Klevener de Heiligenstein - Possibly the rarest of the “other” grapes because this has to be grown only in specific areas of Alsace. This pink skinned cousin to Gewurztraminer, also known as Savagnin Rosé in other regions, is planted around the commune of Heiligenstein in central Alsace. Klevener de Heiligenstein, is less aromatic than Gewurztraminer, but higher in acidity. It shares similar tastes of lychees and citrus fruit, and white floral aromas, but without the intensity of the more famous and widely planted Gewurztraminer. Only 5 communes may bottle this wine variety today, but it appears that existing vineyards may not be replanted, so the name may eventually disappear. Note: This should not be confused with ‘Klevner’ (without the second “e” which is another name for Pinot Blanc), but is a different grape altogether. Chasselas – A rare sight in Alsace, this grape is not very aromatic, so can appear rather dull at first, but it can add good freshness to “Edelzwicker” blends, and if you do find a bottle labelled with this grape, you will notice its crisp, clean style. Edelzwicker - This blend’s name literally means 'noble mixture' but while it implies a link with the ‘Noble Varieties’ it can in fact be a blend of any of the permitted white varieties and is usually used for blends of Chasselas, Sylvaner and Pinot Blanc. In general this is simple quaffing wine. Gentil - This is a higher designation for blends. In order to use it, winemakers are required to include a minimum of 50% from the noble grapes (Riesling, Pinot Gris, Gewurztraminer and Muscat) while the rest can be made from any other permitted grape. Some top producers in Alsace will use this designation for “easy” wines that allow those who are new to Alsace to experience the range of flavours from the region in one harmoniously balance package. This is a great wine to match stronger flavoured seafood dishes such as lobster or bouillabaisse or a broad range of cheeses, or to pair with Thai cuisine. In this series we are exploring the region of Alsace and its main grape varieties in better detail so you can identify the right match for your particular occasion. For further information visit the detailed site about Alsace wines, food, tourism and history at AlsaceWines.co.uk which also includes recipes and food matching suggestions. Finally, once you start to explore the many fantastic wines, it is worth recording your experiences to make it easier to remember and find your favourites. Alsace Wines have created a bespoke app to help all wine and food lovers to do this, so install ‘WineShare’ today to record and share your experiences.